Prism has one of the best technical teams in customised software development. Here are a few key members of our team. 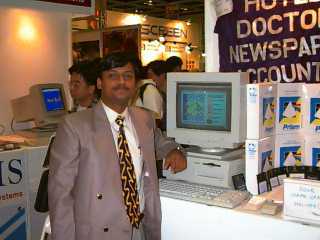 Pradeep Kothari at Hongkong in Prism Pavilion in Macworld, Asia Developer showcase, with Prism solutions for the Mac.